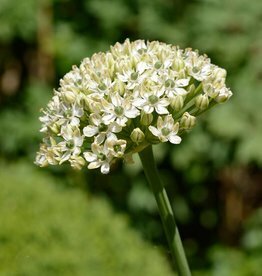 The genus Allium includes many species and cultivars. 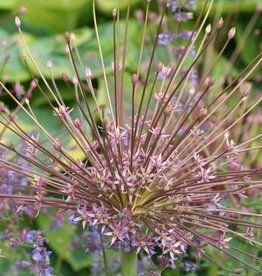 We offer a selection of Alliums with larger, showy flower heads (the ornamental onions), and also a selection of Alliums suitable for naturalising. 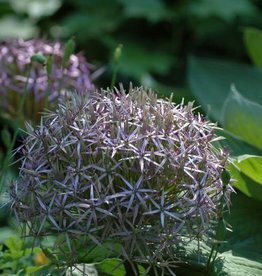 The ornamental onions prefer a sunny position, but will also fair well in part shade. 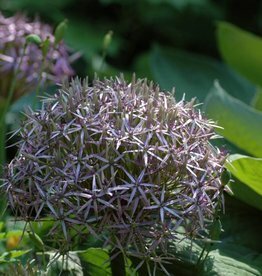 These Alliums flower when most perennial plants have only foliage, and this makes them excellent planting companions. 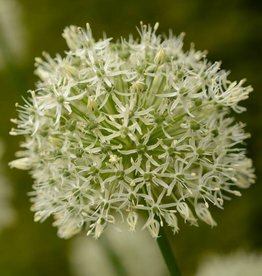 Plant ornamental onions in large numbers; treat them to a dose of organic manure every spring, and enjoy a flowering border in as early as May and June. 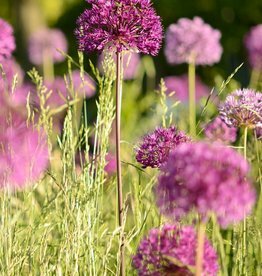 A good thing to consider is the height of both the Alliums and the perennials; when flowering the Alliums should be taller than their neighbours! 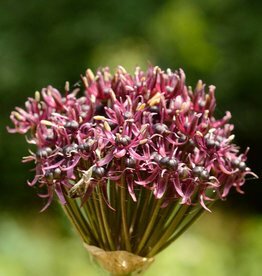 As the season progresses the dead flower heads of the ornamental onions will disappear under the foliage of the perennials. 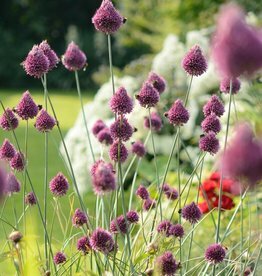 Ornamental onions prefer a rather loamy or clayey soil. 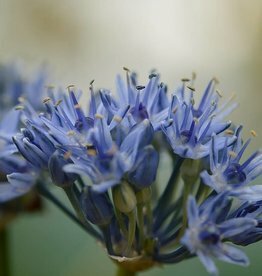 If you’re gardening on sand then enrich every planting hole with clay minerals to ensure a top performance. 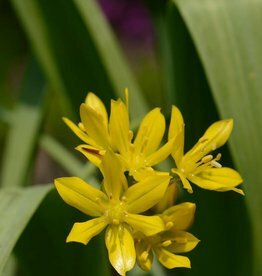 Golden Garlic, Wild Garlic and Few-Flowered Garlic naturalise easily. 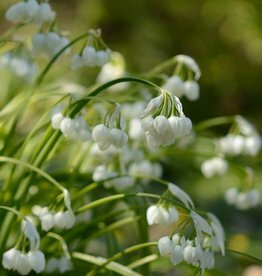 In the spring they flower en masse, also in shady conditions. 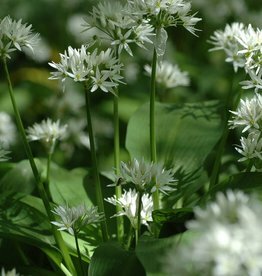 Wild Garlic is even edible; we Dutch like to eat it in mashed potato! 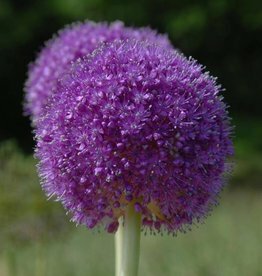 Ornamental onion with a firework-like display!